Satellite data showed a shapeless area of clouds over northeastern Mexico on Oct. 24 where former hurricane Willa has dissipated. NOAA’s GOES-West satellite captured a visible image of Willa’s remnant clouds. On Oct. 24 at 12 p.m. EDT (1600 UTC), NOAA’s GOES-West satellite provided a visible image of Willa’s remnant clouds. 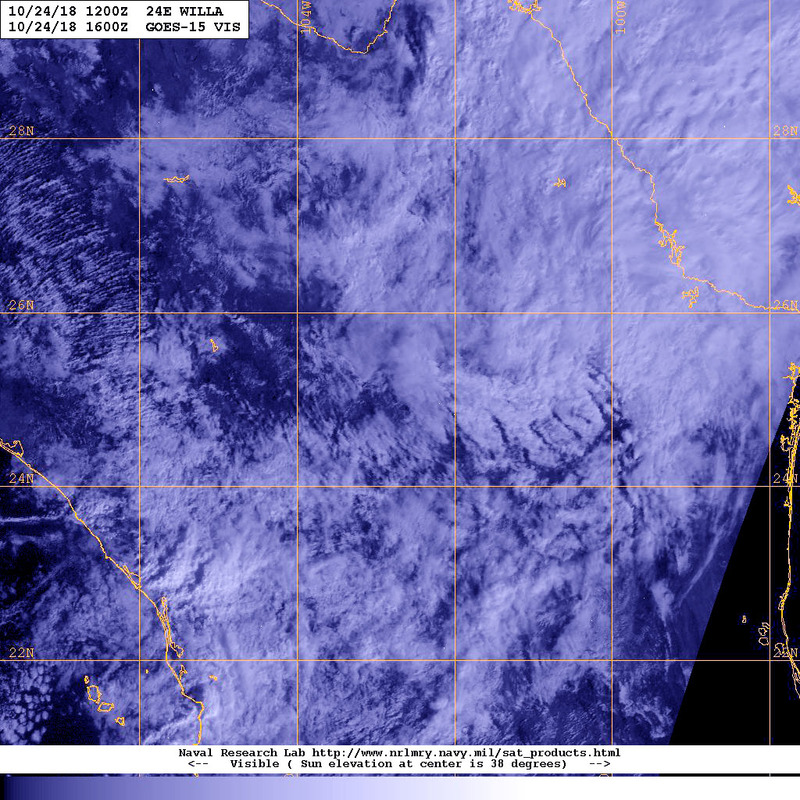 Satellite images and surface observations indicate that Willa’s surface circulation has dissipated over northeastern Mexico. At 11 a.m. EDT (1500 UTC), the remnants of Willa were located near latitude 25.5 degrees north and longitude 101.5 degrees west. That’s about 75 miles (120 km) west of Monterrey Mexico. The remnants are moving toward the northeast near 28 mph (44 kph) and this general motion is expected to continue today. Maximum sustained winds had decreased to near 25 mph (35 kph) with higher gusts. The estimated minimum central pressure is 1008 millibars.